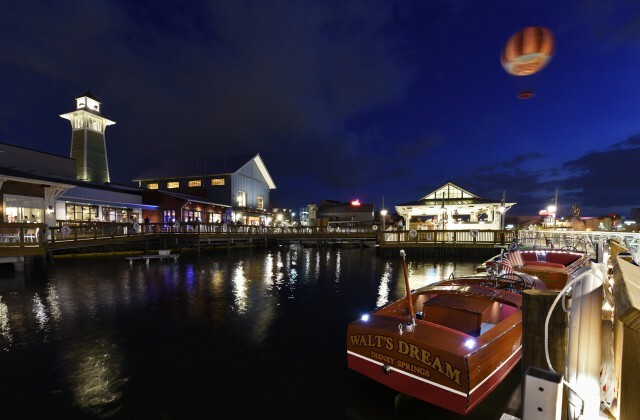 Wrapped in Florida-inspired, made-for-strolling promenades, arcing footbridges, flowing streams and waterfront charm, Disney Springs treats Walt Disney World Resort guests to an exciting, one-of-a-kind blend of shopping, dining and entertainment – with an unmistakable Disney touch. 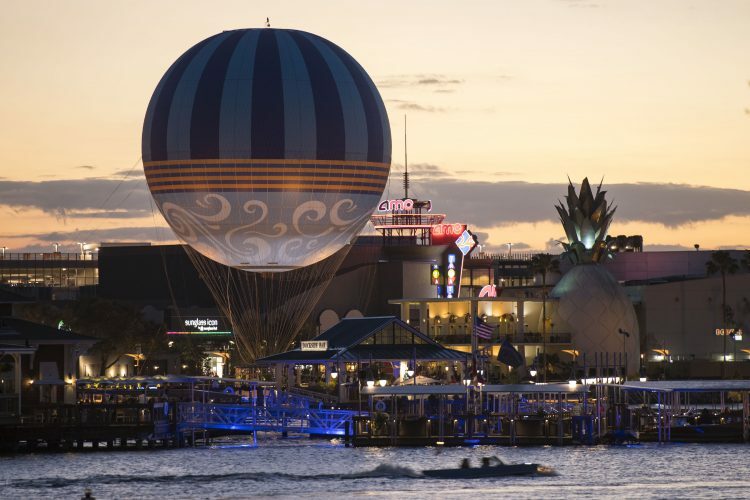 By day or night guests can expect a vibrant scene, whether they are shopping top-name retail brands, enjoying high-quality entertainment, having that special dining experience, pleasure boating on Lake Buena Vista or hopping a balloon skyward for spectacular views of Walt Disney World and beyond. 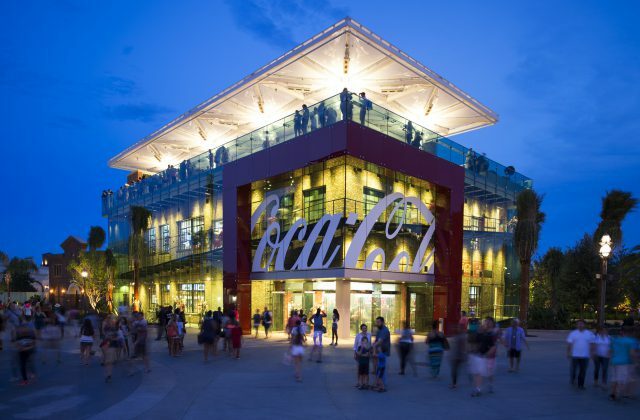 The former Downtown Disney completed a dramatic, multi-year transformation in 2016, was renamed Disney Springs and more than doubled – to more than 150 — the number of shops, restaurants and other venues for guests to explore and enjoy. Stop for a snack or cool drink, listen to talented musical performers or enjoy a meal at one of many great dining establishments. From sweets to street food to everything in between, there is something for every taste at Disney Springs. If it’s a memorable meal you’re after, Disney Springs offers unforgettable dining experiences – some created by celebrity chefs and James Beard award-winning chefs. 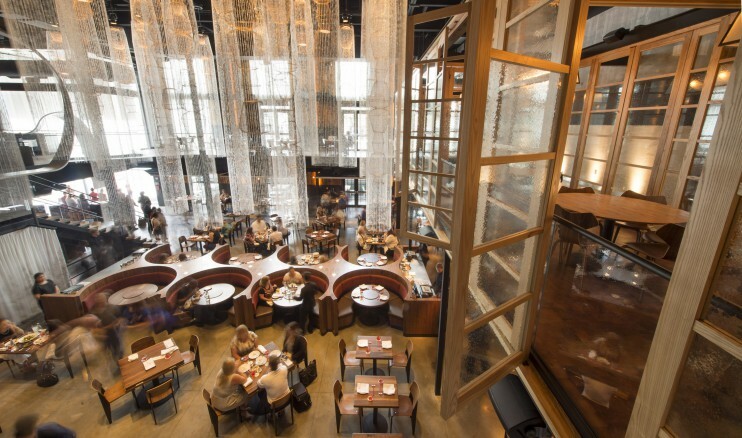 Chefs including Matsaharu Morimoto, Art Smith, Kevin Dundon and Rick Bayless call Disney Springs home with exciting restaurants offering unsurpassed dining. Newest dining choices include The Polite Pig, where renowned Orlando chefs James and Julie Petrakis serve up modern barbecue with Southern sides and a bourbon bar offering more than 50 selections, and Paddlefish – an elegant old paddlewheeler reimagined into a modern yacht experience dishing up fresh seafood and steaks, a delicious Sunday brunch and a late-night menu with starry views from a deck-top lounge. 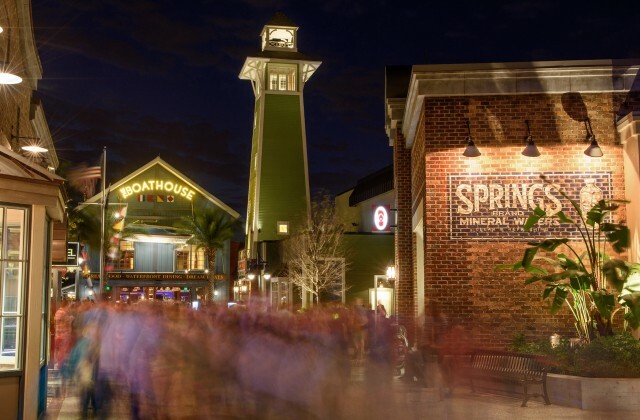 If shopping is your thing, Disney Springs is an experience like no other, with many great venues you won’t find anywhere else. Guests can shop a “Springs” brimming with everything from fashion apparel and jewelry to collectibles and artwork. For that special something, unique shopping found only at Disney Springs includes Uniqlo, American Threads, the Coca-Cola Store, Trophy Room, Shores and Sugarboo & Co. And The Force is more than with you at the Star Wars Galactic Outpost – great Star Wars merchandise is, too. That’s only part of the shopping story. 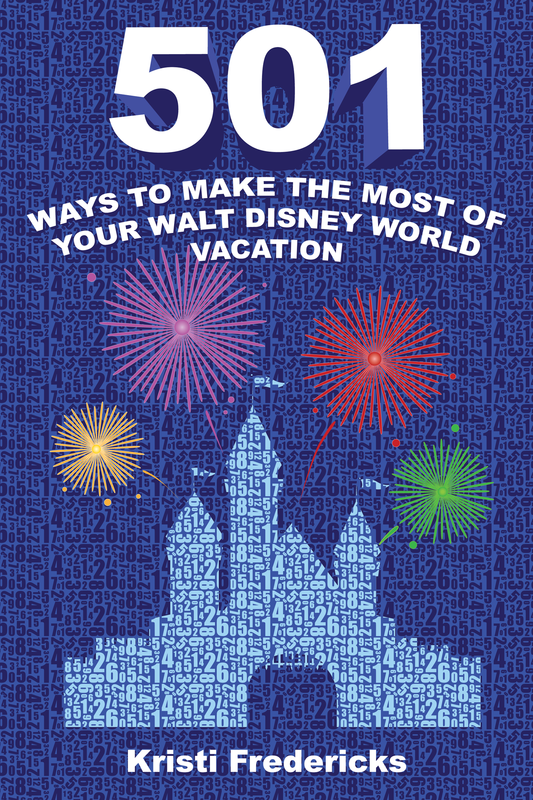 Fans of All Things Disney can stock up on Disney merchandise at World of Disney and Marketplace Co-Op. Uniqlo, Vera Bradley, Pandora, Alex & Ami and more stock Disney co-branded merchandise. In creating the largest expansion in its history, Disney planners infused Disney Springs with the same focus on storytelling and attention to detail that are hallmarks of Disney theme parks, resort hotels and cruise ships, creating a welcoming space that only Disney can provide. The story of Disney Springs begins as Florida’s did, with bubbling springs and natural beauty that first attracted settlers to the area. At the turn of the 20th century waterfront towns sprang up, dotting Florida’s landscape. Today’s Disney Springs fittingly starts with a clear water stream and fans out to exciting precincts for entertainment, dining, lounging and shopping. Town Center offers a sophisticated mix of noteworthy shopping and dining along with a promenade where guests can relax, refresh and reconnect. Town Center features Spanish “Revival” style architecture, drawing from a rich history of explorers that landed in Florida centuries ago. 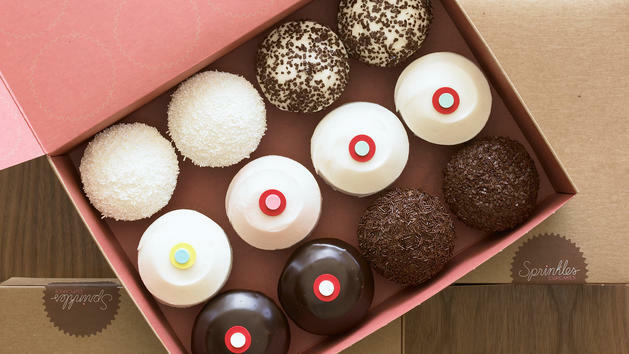 Stop at Sprinkles where yummy cupcakes dispense from an ATM-style machine. Or order up an artisanal pie at Blaze Fast-Fire’d Pizza and it’s “fired up” oven-to-table in a lightning-fast 180 seconds. Long noted for Hollywood stars, the newly-renovated and renamed Planet Hollywood Observatory sets its sights on celestial ones. Its out-of-this world setting is home to a revamped menu that includes signature burgers from celebrity chef Guy Fieri. A colorful and thriving commercial district called The Landing offers inspired dining and breathtaking waterfront views. High-quality retailers are found along its lantern-lined byways, including Sanuk for footwear, Chapel Hats and The Art of Shaving. Dine fine at STK, Morimoto Asia, dine fun at Paradiso 37 or the Raglan Road Irish Pub. The BOATHOUSE serves up a great menu and terrific lakeside views. Book a romantic sailing on an Italian water taxi or opt for the thrills of an Amphicar: vintage-style cars that transition from the land to the water for an unforgettable cruise of Disney Springs sights. The family-friendly Marketplace continues to delight guests of all ages by combining new experiences such as an over-the-water pedestrian causeway, along with classic Disney favorites, including a Lego Store for hands-on play or an expanded World of Disney store – largest Disney character store in the world. 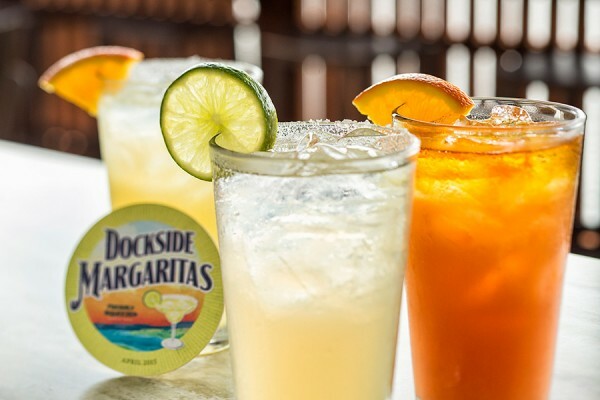 Cooling refreshments at the water’s edge are found at Dockside Margaritas. For the little ones, a spin on the Marketplace Train Express or a charming Venetian carousel is sure to bring smiles. Treat the family to dino-themed dining at T-Rex Café or jungle-style at Rainforest Café. The West Side delivers an exuberant atmosphere with lively entertainment, retail and dining along with a series of new elevated spaces that provide both shade and an overlook to the activity below. 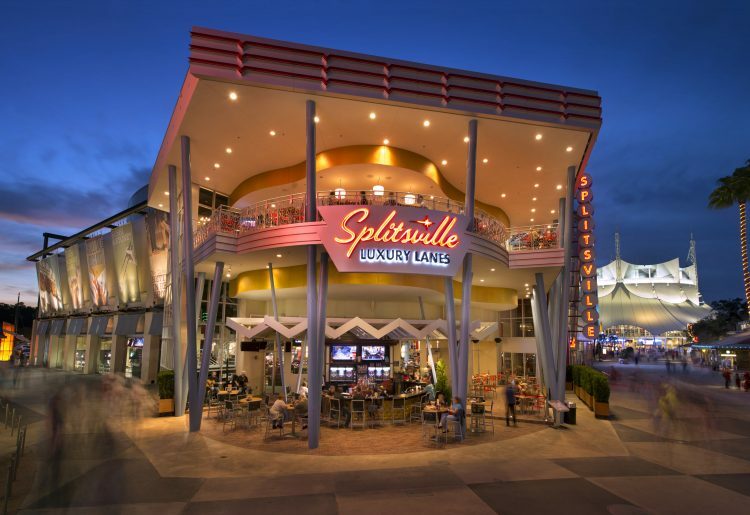 From Cirque du Soleil to iconic restaurants like House of Blues to bowling with a stylized twist at Splitsville Luxury Lanes, West Side offers something for everyone. For unmatched aerial views of Disney Springs and beyond, hop aboard Characters in Flight. Operated by Aerophile, the world’s largest tethered helium balloon ascends 400 feet. Thanks to new slot-smart parking decks where green lights indicate available spaces (and take the guesswork out), parking is convenient to the entire Disney Springs scene – and free. Valet parking also is available. 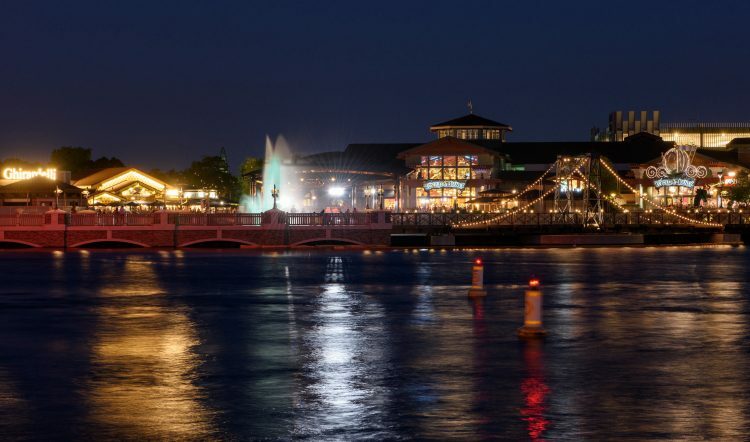 Disney Springs is easily accessed from I-4, Central Florida’s major interstate, and connected to the rest of Walt Disney World Resort by motorcoach, watercraft or pedestrian pathways. What do you love most about the recently reimagined Disney Springs?